Since December 1st, 2018 Firm "SV" LLC. 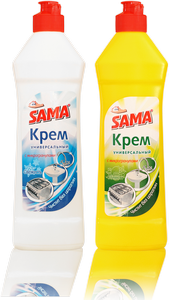 company has started the production of a new product --SAMA® Glass Ceramics cleaner. 01.08.2017 What is better: washing powder or gel laundry detergent? 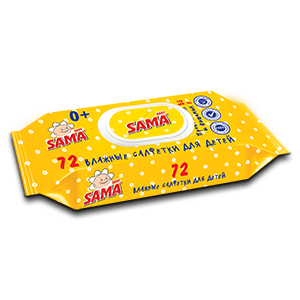 On June 1st, 2017 Firm "SV" Ltd. has launched a new product Multipurpose Cleaner "Santri" TM "SAMA®" Sprey". 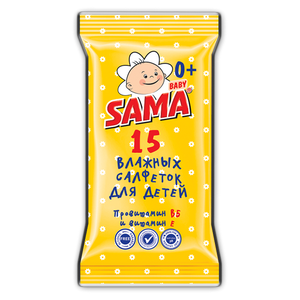 On May 1st, 2017 firm "SV" Ltd. started production a new product "Universal cream for cleaning of TM "SAMA"". On December 1st, 2016 firm "SV" Ltd. started production a new productUniversal cleaner TM "SAMA" "Santri". 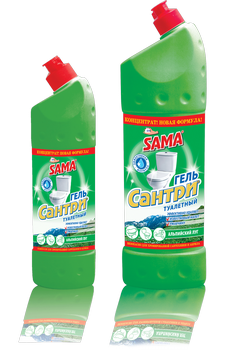 On December 1st, 2016 firm "SV" Ltd. started production a new productMeans for cleaning toilet bowls TM "SAMA" "Santri". 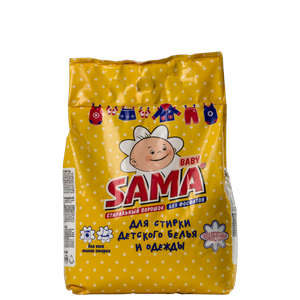 On January 1st, 2016 firm "SV" Ltd. started production a new product Washing powder phosphate-free "BABY" for washing baby clothes and garment TM "SAMA®". 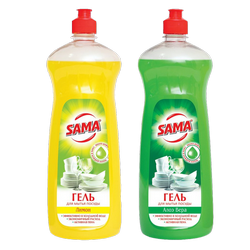 On November 1, 2014 Firm "SV" Ltd. has launched a new product "Household soap дiquid" under the brand name "Sama". 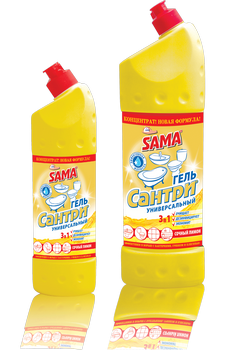 On October 1, 2014 Firm "SV" LTD. has launched a new product "Liquid Stain remover "Utra Power" under the brand name "Sama". 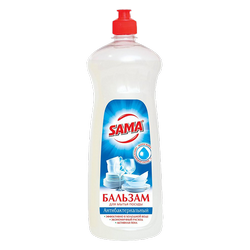 On October 1, 2014 Firm "SV" LTD. has launched a new product "Liquid Stain remover "Utras Power" under the brand name "Sama". On September 1, 2014 Firm "SV" LTD. started production of a new product "Means for cleaning carpets and upholstered furniture 750 ml." 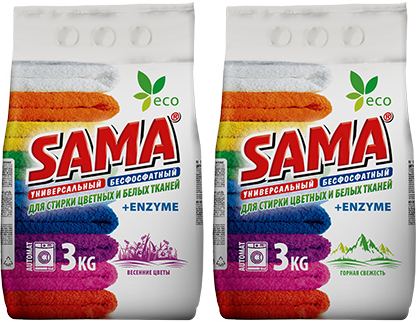 under the brand name "Sama"
On August 1, 2014 Firm "SV" LTD. started production of "Universal detergents for house cleaning" under the brand name "Sama". With May 15, 2014 frim "SV" Ltd. begins production new products under the brand name "Sama". With May 15, 2014 firm "SV" Ltd. begins production new products under the brand name "Sama". 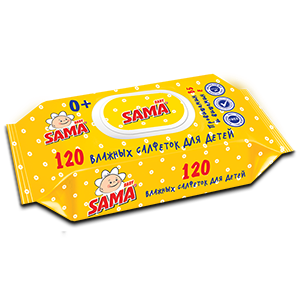 With April 1, 2014 has started selling a new product under the brand name "SAMA". 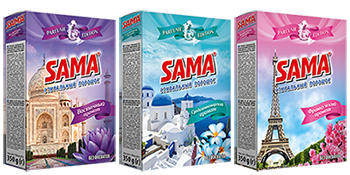 With April 1, 2014 our company started selling new products - Detergents for hand washing and washing machine washing in the range of TM "SAMA". 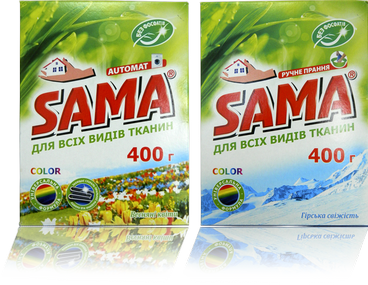 Spray for kitchen TM "SAMA®"
With February 1, 2014 Launch of the new line of washing detergents under the brand name "SAMA". 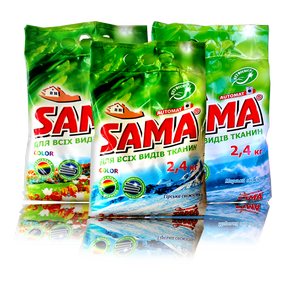 With February 1, 2014 our company started producing a series of renewed washing detergents under the brand name "SAMA", weight 500 gr., 1500 gr. and 3 kg. With 01.05.2012. launch of new products TM "CAMA"
Launch of the new products Shampoo TM "FITOBUM"
With September 12, 2011 Ltd "CB" has launched a new product "Shampoo TM FITOBUM"
Beginning of the release of a new type of detergent TM "SAMA"
With March 11, 2011 by LLC "SV" launched a new series "Cleaner TM" CAMA"